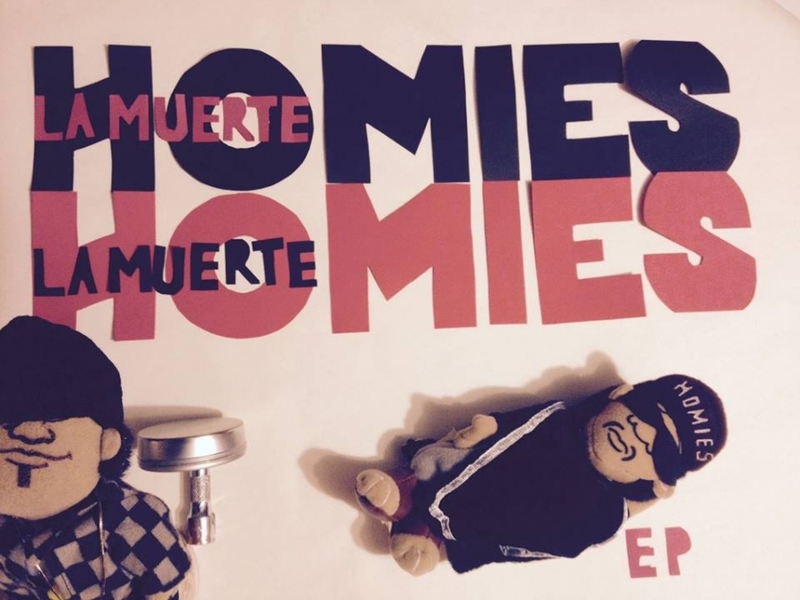 PREMIERE: Homies - "Time Goes By"
There are many things lacking in Portland as a place, especially within the music scene. Despite the obvious deficiency in diversity, there are key figures and artists within the scene that continually contribute to changing that. Homies are considered some of these figures. Led by Omar Cervantes and Ralf Rodriguez, the hazy, fuzz laden Spanish dream-surf they produce is one to easily enjoy. Their newest music video provides just as much of that minimalistic pleasure. Artistically shot, the video that accompanying their track "Time Goes By" is in all black and white, splicing in deep notes about the concept of time, and how it is essentially meaningless. Flames and a flower are an intro before displaying "nada es nuestro." Translating to "nothing is ours," it's a perfect delineation of what the video is trying to portray. Nothing, including time, may be truly ours, but there are still positive things that can be done with the construct. This Saturday 10.19, Homies are playing La Fuerza: a Bori-Mex Benefit, a disaster relief fundraiser meant to benefit those who suffered during the hurricanes in Mexico and Puerto Rico being held at the Portland Mercado. Sets from Brown Calculus, Cilantro, Máscaras, LuvJonez and Coast2c will also be happening, with proceeds going to the community kitchen construction project by Patronato de Arte Contemporáneo, Oregon para Puerto Rico and Jóvenes x Puerto Rico. There's even a tampon drive for Portland Menstrual Society and Amy Nieto-Cruz's donation to Puerto Rico so bring new, unopened product. Until then, enjoy Homies' new video below. timegoesby from LoboNahual on Vimeo. PDX Pop Now's 2016 festival weekend is coming to a close and with its posted lineup, it'll be ending on a high note. 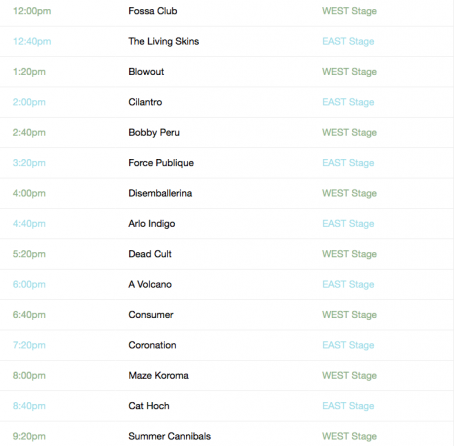 Youth bands Fossa Club and the Living Skins open up this sunny Sunday, leading into the blowing up and of Blowout. Cilantro will be offering a more worldly spice, followed up by a lively punked fueled performance from Bobby Peru. Deli Portland favorites A Volcano, Force Publique and Cat Hoch have slots on the closing day, along with experimental noise act Consumer, who shared his spontaneous sounds on the PDX Pop segment featured on KATU. Renaissance Coalition breakout artist Maze Koroma will spit some mad flows just before one of Portland's current biggest bands Summer Cannibals closes out this year's fest just before the 10 o' clock hour. This year's PDX Pop Now festival was one of the best to date, with an outstanding turnout backing one of the most diverse lineups in its history. It'll be exciting to see what the non-profit has up its sleeve next.